The latest KIVA loans come courtesy of first month subscription payments from M. Siegel and J. Mercer. 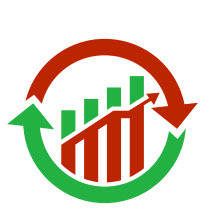 If you are interested in contributing please subscribe to my newsletter using the [Subscribe] button under the header. Allow 24 hours to set up site access and add your name to the email distribution list. Amidu is 54 years old and married, with 19 children. 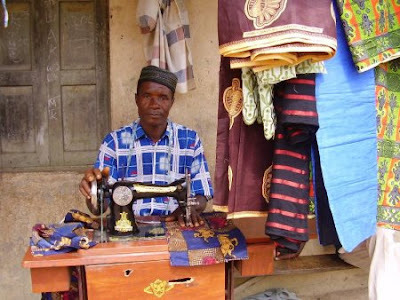 He is an accomplished and experienced tailor, but he lacks the capital to purchase enough supplies to allow him to meet customer demand. He learned tailoring 10 years ago and has been sewing clothes ever since, especially for women in Makup Bana village. His service is very vital and saves women from travelling long distances to Makeni town to seek sewing services. Amidu would like to expand his business and is requesting a loan of approximately $700 US to purchase more cotton material, buttons, and other supplies for this purpose. 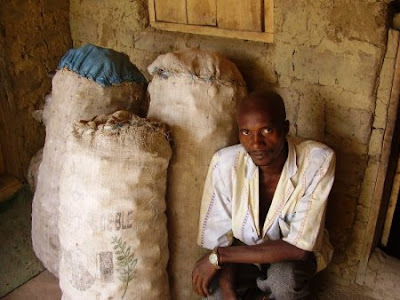 Abdul Kargbo is 39 years old and married, with 4 children. He sells cassava, sweet potatoes and vegetables such as eggplant to wholesalers from Freetown, who then resell the produce. Because he does not sell directly to the customers, Abdul earns very little profit. He would like to expand his business by purchasing and selling the foods directly to Freetown. He needs additional capital so that he can bypass the middleman and go directly to the market in Freetown himself. He is requesting a loan of approximately $350 US for this purpose. 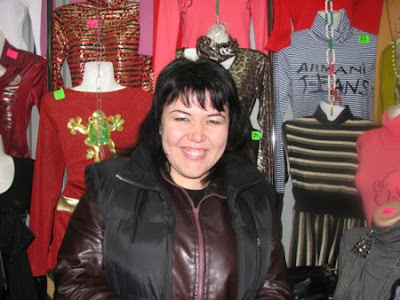 Alime has a small business selling women’s clothing at the bustling Central market in Simferopol, Ukraine. She sells a selection of day-to-day wear as well as dressy clothes. Alime is single and has been in business for four years. She is an energetic, enthusiastic entrepreneur who operates her business simply but wisely. An example of this is times when she has needed to purchase new clothing inventory. Rather than close her business and travel herself to buy inventory, she has paid other clothing vendors to buy for her so that she can stay and keep her business open. Alime has expanded her business by opening a second sales kiosk and is thinking of opening a third kiosk in the future. Alime has requested a short term loan to help renew her supply of clothing inventory. The change of seasons means a busy time of year for clothing vendors like Alime. This loan will help her purchase a good supply of inventory so she can maximize her profits and continue working to develop her business.